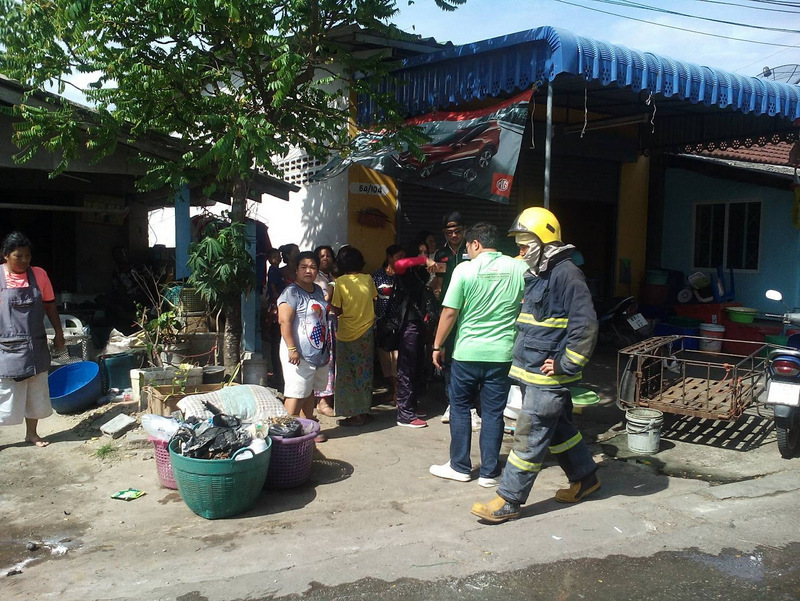 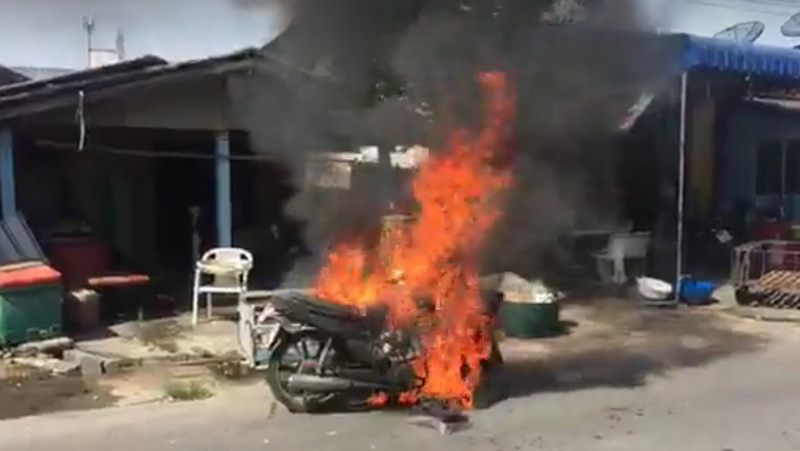 PHUKET: A local resident in Rassada escaped serious injury today when her motorbike burst into flames just minutes after she parked it at a motorbike repair shop in Rassada. 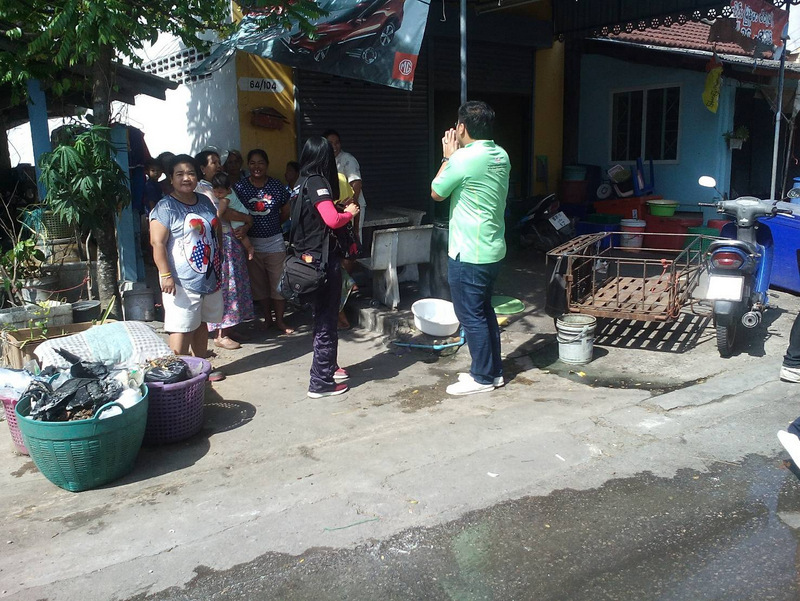 Sirirat Singchai, 44, rode her black Honda Wave salaeng (motorbike with sidecar) to her local repair shop in Soi Wanij 2 just before 10:30am after noticing problems with the motorbike’s battery. 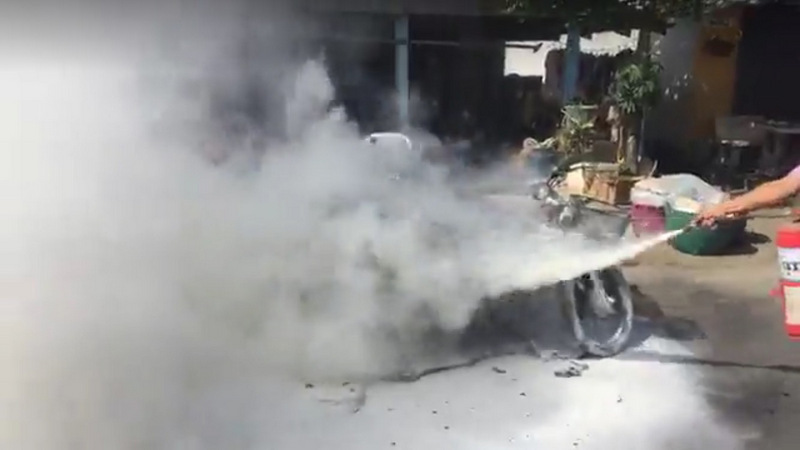 Just minutes after parking it in front of the shop, Ms Sirirat noticed smoke coming from the battery, then smoke, which turned to flames – and then the petrol tank erupted, bringing the local residents scurrying out of the homes to see what had just exploded. 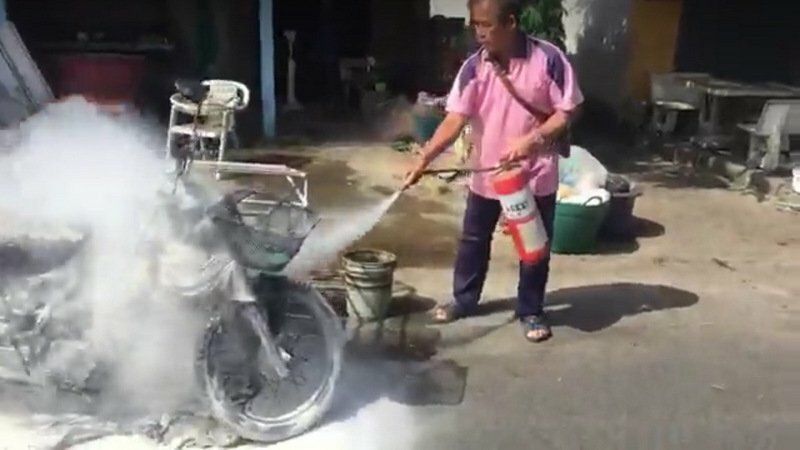 The Rassada Municipality fire department and local police were called, but by the time the firefighters arrived a local resident had already doused the fireball with handheld fire extinguisher. 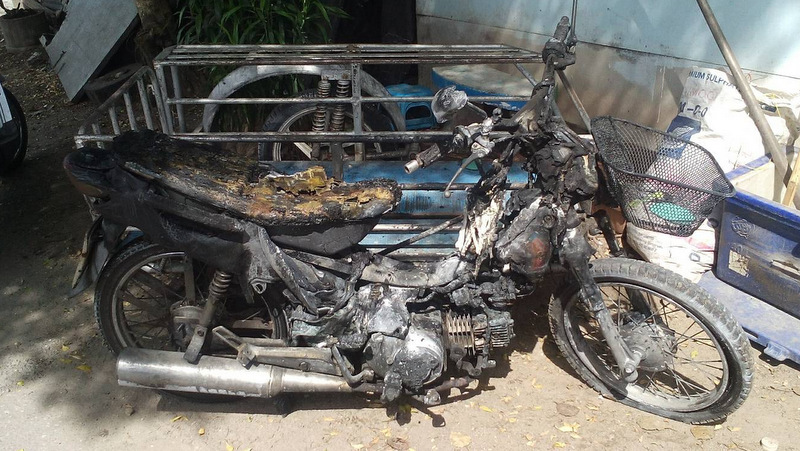 Ms Sirirat later today took her scorched motorbike home, unrepaired and now unusable. 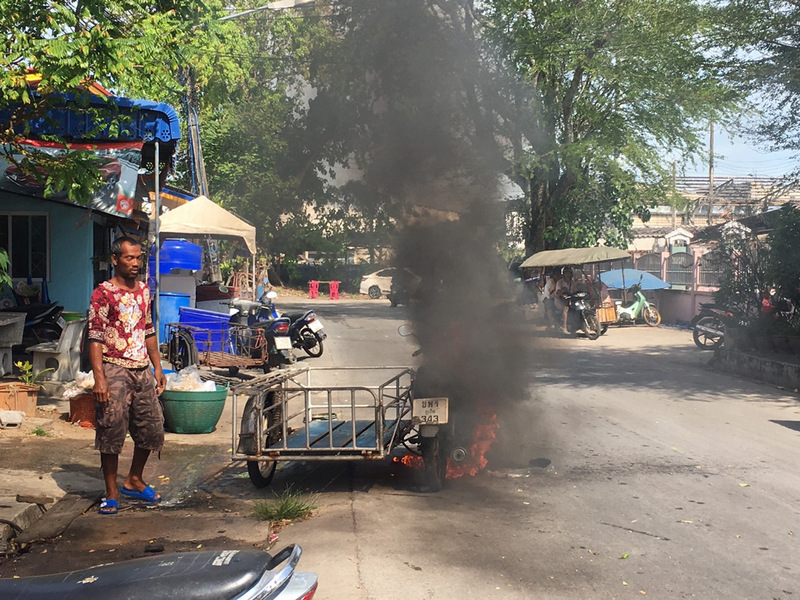 Police – and presumably the mechanics at the motorbike repair shop – estimated the cost of the damage to the motorbike at about B15,000.